The Balgera Chiavennasca Terrazze Retiche di Sondrio IGT Frizzante. Its unique for a white wine I must say. If you are the type of wine enthusiast who like to explore, discover and sip new wines and varietals rather than seek comfort in drinking a few known ones, then you may wish to check out this white wine. In the past when I tasted a nebbiolo varietal, it has always been as a red wine. This is the first time I have tasted it as a 'white' wine. This particular bottle contains 70% nebbiolo while the remaining 30% is made up two other local varietals. I was attending a private wine session at a japanese outlet when I got the chance to try this unique white. It went well as an aperitif and later during dinner paired well with the sashimi dishes served at the table. This ‘nebbiolo’ takes on the name of ‘chiavennasca’ (as it is produced within the Lombardy region). Pale yellow in colour with a hint of green, it is made to show a slight fizziness in its body (well slightly lesser than that of a prosecco). It reveals light floral and fruity aromas on the nose, shows a light to medium body, a pleasant and refreshing palate, with a hint of sweetness in the finish. During dinner while the passionate wine hobbyists at the table were discussing on the merits of making a 'white nebbiolo', a lady diner sipped half a glass of this white, then turned to her husband and said: "I want a case of this." Wine-bits on nebbiolo: If you have begun exploring italian reds and stepped into the region of Piedmont, two red wines which you will easily come across are Barolo and Barbaresco. Its relatively easy to purchase a good range of barolos and barbarescos in Singapore from various importers. Both these wines are made from the same red grape varietal called Nebbiolo. The nebbiolo varietal is also used in the red wine produced in Gattinara, Ghemme and Bramaterra (to name a few). This varietal goes by other names too. In the Gattinara area, it is known as Spanna. In areas like Carema and Donnaz it goes by the name of Picutener. 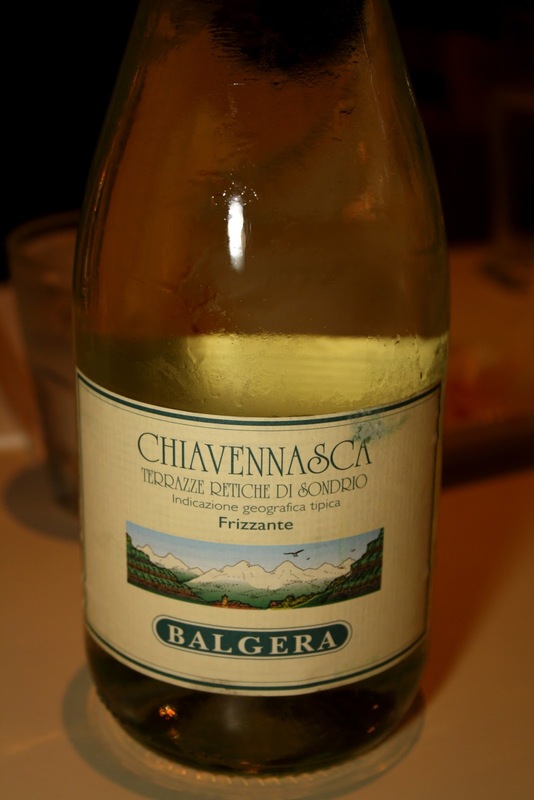 In the wine region of Lombardy it takes on the name of Chiavennasca (after a town by the name of Chiavenna which resides to the west of Valtellina).